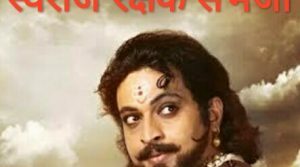 ‘Aamhi Doghi’ is a Marathi drama tv series starring Shivani Rangole, Khushboo Tawde, Satish Pulekar, Varsha Dandale, and Vijay Nikam. This family drama revolves around two sisters, Meera and Madhura, who share an unbreakable bond. Even as the younger sister Madhura is infamous, amusing loving and troublesome, Meera is very caring and protective closer to her sister. 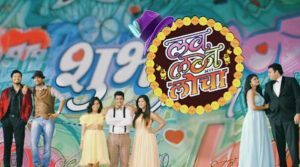 The serial is directed by Umesh Namjoshi, while it is produced by Vidyadhar Pathare made below the banner known as Zee Yuva. And along with love & bonding, there are also a few amusing quarrels between siblings. Meera (Khushboo) and Madhura (Shivani) are no exception to this. Madhura is a bit messy & Meera is the responsible one. Amhi Doghi released in 25th June. Shivani Rangole, who performs the role of Madhura in Aamhi Doghi is taking an exit from the show. And now her role will be replaced by famous tv actress Prasiddhi Kishor. Prasiddhi hogged the limelight with the show Nakushi and later went on to work in few plays. Prasiddhi Kishor might be seen in the role of Madhura from 1st October.